The render, from the well-known and generally reliable account @OnLeaks, shows a device that is both taller and wider than the original S6 Edge. Dimensions released alongside the shot indicate that it will measure 154.45 millimeters by 75.80 millimeters and 6.85 millimeters thick. There are a few minor differences in the larger handset. Notably, the bottom microphone has been swapped to the opposite side, and the volume buttons appear to have been slightly repositioned. Widely expected to be called the "Galaxy S6 Edge Plus," Samsung's still-unannounced smartphone is likely to retain similar internal technology to its smaller sibling. 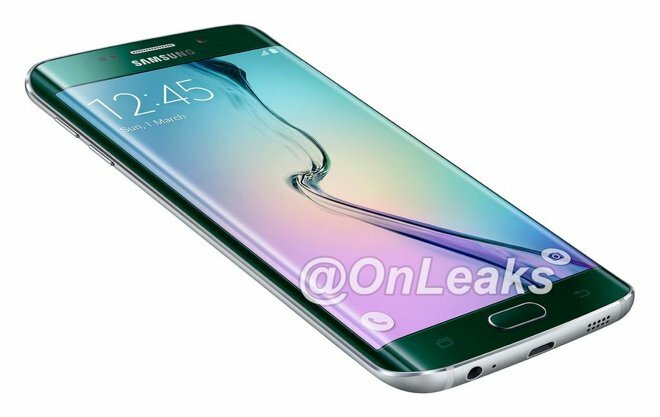 Some have speculated that it may ship with a six-core Qualcomm processor, rather than the Samsung Exynos chips that are in the S6 and S6 Edge. There is no word on when Samsung might officially announce the S6 Edge Plus, though some rumors point to a late June debut. It might also bow at September's annual IFA electronics show in Berlin, where the South Korean firm is expected to debut its next-generation Note.